Your bedroom is where you go to relax at the end of the long day, and where you spend lazy Saturday mornings reading the news on your phone or watching TV. The lighting in your bedroom should provide the ambiance you need for morning, noon, and night, as well as illumination for tasks such as reading and browsing the internet. At Lighting One®, our member affiliated showrooms across North America have guided countless homeowners find the bedroom lighting they needed, whether they were building a home or renovating their current property. 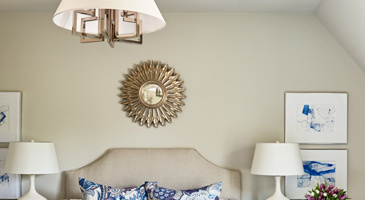 There are a couple of ways to start looking for new bedroom light fixtures. Depending on the size of your bedroom and the budget you have to work with, many choose to work with an interior designer and plan out their new space. Many Lighting One showrooms have this expert lighting consultant already on staff and ready to work with you on deciding which fixtures will be best for your bedroom. He or she will take your room’s dimensions and your budget into account when picking and planning your new lighting design. As a part of our lighting cooperative, our showrooms have access to an outstanding variety of quality products from leading manufacturers. With names like Quoizel and Hinkley you can find lights that improve the look and feel of your bedroom. Every Lighting One location is locally owned and operated, so you’ll know that you’re working with a staff that is invested in the community, and that lives in the same area that you do. On top of design consultations, many of our showrooms offer professional installation as well, taking the burden off your shoulders of finding someone to install your new lights. If you’re searching for new bedroom lighting, let one of our showrooms help you discover the perfect options. We have locations all across the United States and Canada, and chances are, there’s one close to your home. We look forward to helping you with your lighting project! Building a new house is an exciting time for a family, and as the project nears completion, your can’t wait to move in and begin enjoying your home. However, the planning and design of the property can be just as exciting as move-in day, and at Lighting One, our member showrooms can help every family find the lighting it needs for every room. When it comes to the bedroom, it’s important to incorporate all three categories of lighting – ambient, task, and accent. Ambient lighting refers to the general illumination in a space, and it often comes from a central light fixture. In the bedroom, the most common choice for a ambient fixture is a ceiling fan, a small chandelier, or a semi- or flush-mount fixture. When building a new house, the options are virtually endless when it comes to which type of light you want hanging in the middle of your master bedroom, and your interior designer or lighting consultant can help you choose the best one. The height of the ceiling will play a part in determining which fixture will be best, since you won’t want a chandelier hanging from an eight-foot ceiling. The ambient fixture will be the main source of light in the room, but it won’t be the only one. It’s there to provide enough light to see by when you’re in the room, but your task and accent lighting are just as important. While you may not think of your bedroom as a space where you complete many tasks or chores, there’s still a need for proper task lighting. Bedside lamps or swing-arm fixtures above the bed will make it easier to read that last chapter before you fall asleep, or when you’re checking your social media feed on weekend mornings. If you want to create a reading nook in your bedroom that holds your favorite chair, a floor lamp can provide the light you need so that you don’t strain your eyes. For accent lighting, it’s important to think about the architectural design of the space. Do you have vaulted ceilings or a recessed ledge around the perimeter of the room? Recessed fixtures are great for downlighting and accentuating any texture or color that you want to highlight. Wall sconces can direct light both upwards and downwards, and take care of any unwanted shadows or dark spots in the room. You want the room to be balanced in terms of light, since you don’t want it to be too dark or too bright. The combination of ambient, task, and accent fixtures allows you to create layers of light that make the space feel more complete. Once you’ve chosen the light fixtures for your new bedroom, it’s essential to select the proper lighting controls. Traditional switches can be fine for certain fixtures, but you want to be able to adjust the lighting in the space during certain times of the day. A dimmer switch for your ambient fixture will allow you to raise or lower the light in the mornings and evenings, and you can set the proper mood depending on how you’re feeling. For your wall-mounted fixtures, such as sconces or swing-arm lamps, dedicated switches for these will allow you to leave your light on while your spouse or partner turns theirs off. If you have recessed lights in the ceiling, make sure these are on their own controls. There are a number of things to take into account when building a new house, and bedroom lighting is just one of them. When you visit a Lighting One showroom, you’ll receive exceptional service and have access to an amazing selection of high-quality products. Build your new bedroom today! If you’re not building a new house, but you’re planning to renovate your current home, the bedroom can be a great place to start. Whether or not you’re planning to sell your home, updating the bedroom can make the space more functional and more comfortable. You may also be tired of looking at the lighting styles that the previous owner chose and you want to add your own personal touch to the space. With Lighting One, you’ll be able to find modern lighting that fits your tastes and that makes your bedroom what you’ve always wanted it to be. Before you start taking down the old fixtures, it’s important to decide what new styles you want. Have you always envisioned a contemporary chandelier hanging from the ceiling, or perhaps ornate sconces hanging on the walls? Regardless of your personal style, it’s good to have an idea in mind before you visit your local lighting showroom. If you’re going back and forth between different styles, an in-house lighting expert can help you decide which one will be best for your room and your budget. At the end of the day, it’s important to select lighting styles that you’ll enjoy looking at and using every single day. The main uses of your bedroom are geared towards sleeping, relaxing, and getting ready in the morning or evening, so it’s important to make sure you have lighting for each of the room’s functions. If there are no outlets for bedside lamps, consider adding some during your renovations. If the master bedroom’s closet is lacking in light, this could be an area of focus during the remodeling phase. Perhaps you’re expanding the space to create a walk-in closet, and that will mean you’ll need more fixtures. Wall lamps and recessed lights can be great choices, and if you want to add a true touch of class, you can add a mini chandelier. You’ll be able to see when picking out clothes and shoes, and the lighting design will add to the style and comfort of the space. Speaking of comfort, everything in your bedroom should reflect the fact that it’s where you go to relax and sleep. You chose the bed frame, the mattress, the dresser, and everything else in the room so that you can sleep, get ready, and do everything else comfortably. If the current lighting in the room hinders your comfort, it makes sense to add more light in certain spaces. If, when you open your dresser drawers, your head blocks out the light from the ambient fixture, you can add a small table lamp to the top of the dresser. If you don’t like the fact that you have no command over your lights, other than being able to turn them on and off, adding new lighting controls can greatly improve your comfort. Instead of keeping one eye closed every morning because of bright illumination, you can turn the lights on at a low level and let yourself wake up gradually. Home renovations can be quite the undertaking, and if you’re working on your bedroom, make sure lighting is near the top of the list. By working with a Lighting One showroom, you can find exactly what you need! There are countless lighting showrooms out there, so when you’re looking for new bedroom lighting, why should you work with a your locally owned Lighting One affiliated showroom? On top of having access to amazing products from leading manufacturers, your local Lighting One showroom is part of a cooperative that is dedicated to giving back to the community. Each store is locally owned and operated, which means that the money you spend there goes back into the local economy. You’ll likely be supporting a business that has been in a family for generations, and helping a local owner build his or her brand and increase their profitability. 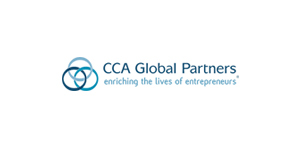 That profitability translates into more sustainable practices, as well as more revenue that the owner can share with local charities and outreach efforts. The Lighting One cooperative is based on the values of equality and equity, and we want each one of our members to be self-motivated and self-responsible. Their success is dependent on helping customers find the perfect lighting options, and it’s important for them to be open and honest when working with others. Ethical values and practices are key to building a strong business, and everything from employee expectations to prices to social responsibility are influenced by these ethical choices. Customers know when they’re being misled, and we want our showrooms to be places where you feel comfortable every time you step through the door. If you’re shopping for new bedroom lighting, and you want to work with an honest and reputable business that will treat you right and help you find exactly what you need at prices that fit your budget, contact your local Lighting One showroom today. With locations in nearly every state, as well as four Canadian provinces, you can find extraordinary lighting options without having to travel too far! 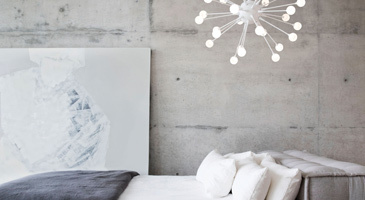 Finding new bedroom lighting doesn’t have to be difficult or stressful. Whether you’re building a new home, or you want to replace your outdated fixtures, Lighting One is here to help. We’re dedicated to providing every customer with amazing options that fit their vision and their budget. To find a showroom in your city, take a look at our list of locations. If we’re not currently located in your area, be sure to check back often, as we’re always adding more showrooms!